I absolutely adore this site! 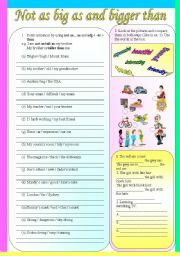 I would never have thought I´ll spend hours and hours sitting behind my computer creating and downloading worksheets! I think that a passionate teacher is the best teacher. And a big thanks to everybody who took time to comment on my worksheets! 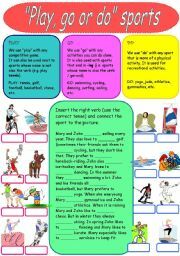 A worksheet with short explanation about when to use "go", "play" or "do" with various sports. A gap-fill exercise and connect the sports to the correct pictures exercise. 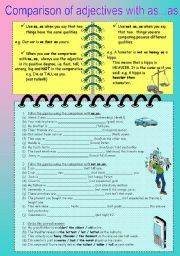 A worksheet used to pactice comparison with as...as (as big as) and not as...as (not as big as). 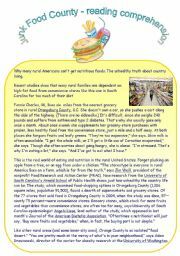 Gap-fill and circle the correct answer activities. There´s a little explanation included as well. The worksheet is editable. 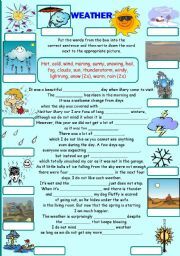 A worksheet on weather. Students fill in the gaps with the words provided in the box and then write down appropriate words under the right picture. Answer key provided on page 2. This is a pictionary about some buildings/places you can find in a town. 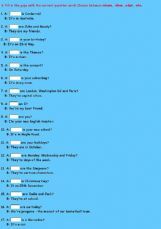 I also made a wordsearch exercise, but had to upload it separately because of the size. 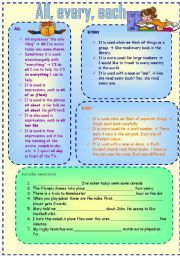 A two-tasks worksheet to practice forming comparative sentences: My room is not as tidy as yours. / Your room is tidier than mine. In exercise 1 students need to compare two things / people by using the words given. In exercise 2 they need to compare the pictures by using the adjectives given in the box. A simple worksheet to practice have got and has got. 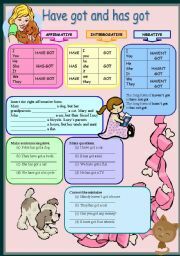 Four different exercises: insert the right affirmative form, make sentences negative, form questions and correct the mistakes. A short explanation of when to use EACH, EVERY, ALL followed by 28 sentences to practice. Third page is the answer key. 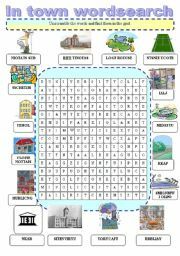 A wordsearch exercise that goes together with the pictionary you can find here: http://www.eslprintables.com/printable.asp?id=216657#thetop Students have to unscramble the words first and only then look for words in the grid. Words to use when teaching alphabet. 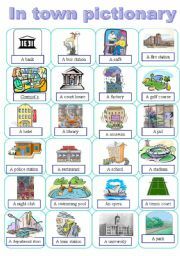 There is also a powerpoint with only pictures of these words to check if the learners know them. To use with the Alphabet Words Power Point. A powerpoint about Slovenia, the country which presided over the EU between January and June 2008. For cultural lessons. 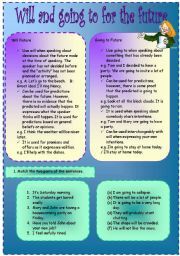 An exercise to practice question words "who, where, when and what" and the present simple form of "to be".